Our Remote control extender kit promises to deliver unparalleled compatibility with your IR / Infrared controlled devices regardless of make or model. Scientific Atlanta (normally problematic for IR Repeater kits) are a problem no more! 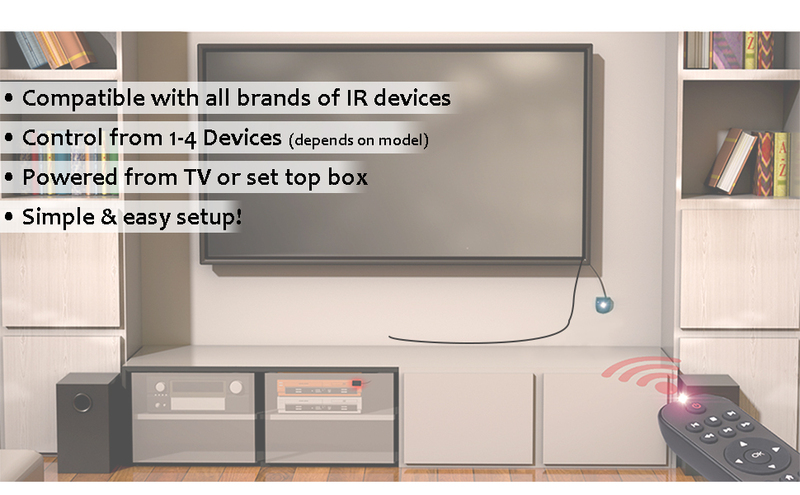 Plus, with our all new plasma resistant IR receiver technology you will experience little to zero interference from plasma TV's or CFL light bulbs unlike traditional IR repeater / remote control extender kits! 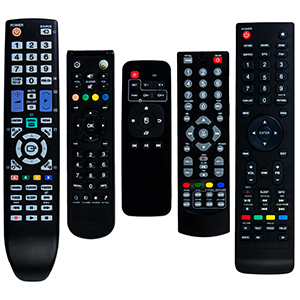 Available in 3 models to allow control of 1, 2, or up to 4 different A/V devices all with the same cable! Emitter length (From USB plug) 39"
IR receiver length (From USB plug) 78"
The BAFX Products IR repeater cable has been extensively tested on hundreds of different brands of cable boxes, satellite boxes, media players, receivers, DVD players, surround sound systems, projectors & more! From Sony, Marantz & Scientific Atlanta & Yamaha, Onkyo & more, our kits have been fully vetted! Will this work with my device? Yes! 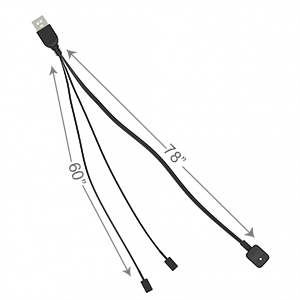 As long as your device is an IR controlled device, our IR repeater cable will work with it. If you do experience any problems though the BAFX Products customer support is unparalleled! Will this transmit the Audio & Video signal too? No! 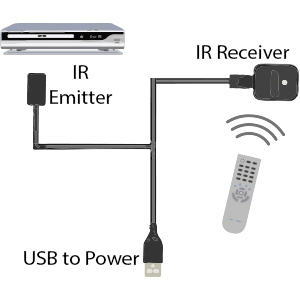 Our remote control extender kits ONLY transmit the IR signal from the remote control to your devices. You will still need to connect your device to the TV using an HDMI cable or other method! 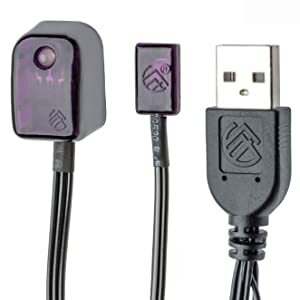 • Plug USB into TV or cable box USB port OR into USB wall adapter (sold separately) for power. 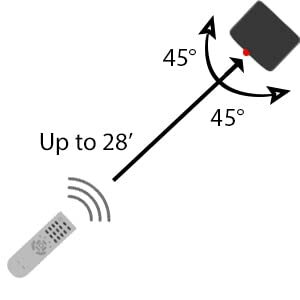 • Remote control can be used at up to a 45° angle from head on. Up, down, left or right.